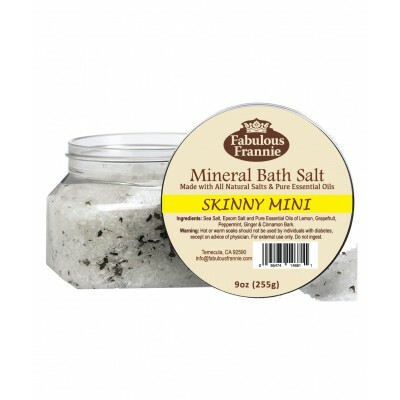 Boost your metabolism and suppress appetite cravings, with Fabulous Frannie’s Skinny Mini bath salt. Formulated with essential oils known to help support a healthy metabolism this blend when combined with healthy eating habits and a daily exercise routine can help you reach your goal weight and stay there. 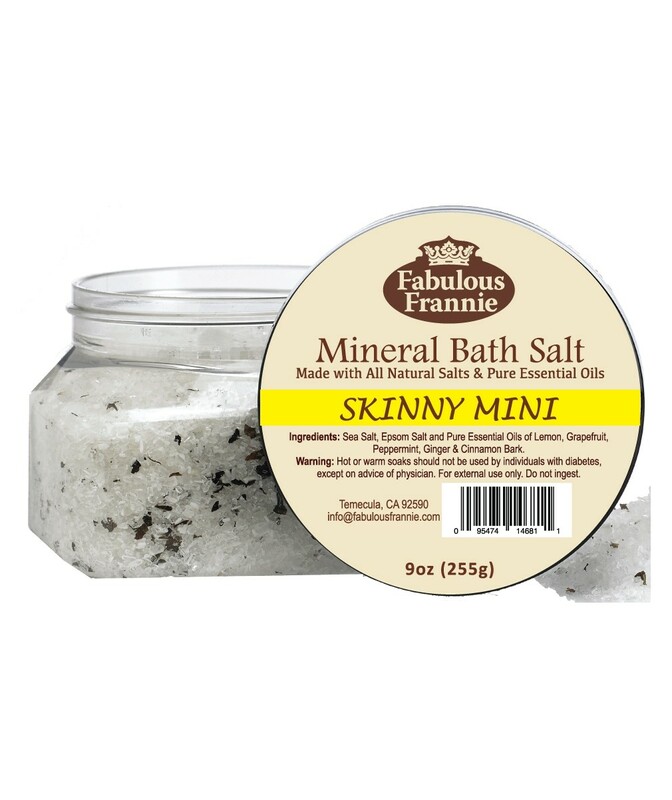 Ingredients: Sea Salt, Epsom Salt and Lemon, Grapefruit, Peppermint, Ginger & Cinnamon Bark Essential Oils.